The School of Public Policy and Global Affairs stretches across two buildings, the Liu Institute for Global Issues and the C.K. Choi, in the northwest corner of UBC’s Vancouver campus. The school benefits from buildings that offer both offices and convening spaces ideally suited to a diversity of functions including research, teaching, meetings, and events. Located on The University of British Columbia’s Vancouver campus, the C. K. Choi Building is home to the School of Public Policy and Global Affairs. Designed by Matsuzaki Wright Architects, the building and adjoining plaza are replete with architectural symbols of Asian culture and the IAR’s work inside. The C. K. Choi Building has a conference room, a seminar room and a lounge that are available for use. Host your next conference, meeting or corporate retreat at the C. K. Choi Building. 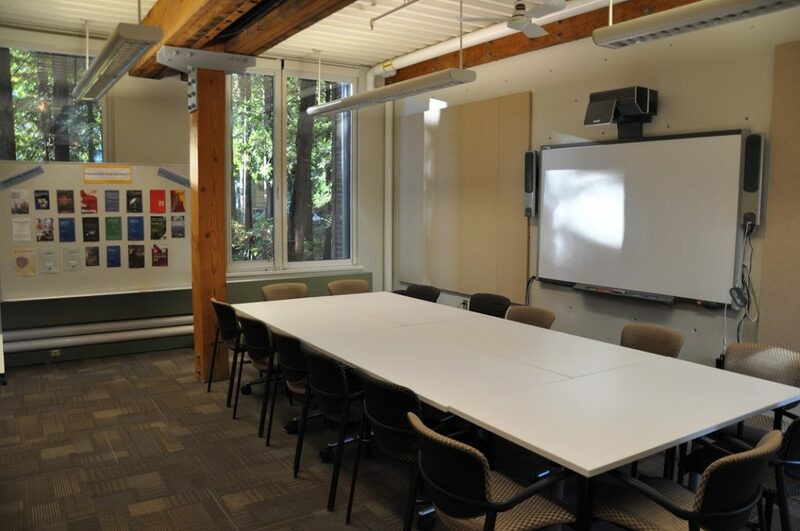 The Liu Institute conducts research and seminars in an award-winning space located in the heart of The University of British Columbia’s Vancouver campus. Designed by Architectura in collaboration with renowned architect Arthur Erickson, the Liu building sits at the edge of a lush second-growth forest that provides cooling shade and beautiful views. The structure’s design incorporates a number of sustainable features aimed at maximizing use of recycled and salvaged materials, minimizing energy and water consumption, and reducing waste. 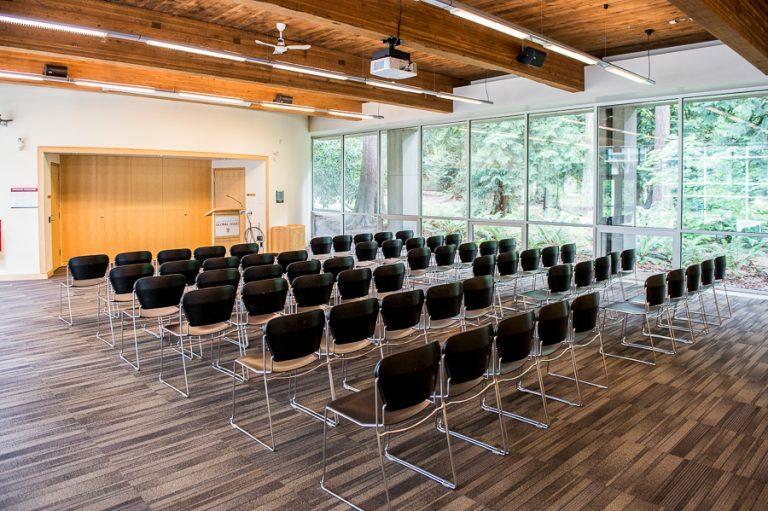 In addition to housing Liu Institute research, seminars and events, the Liu building is available to host both UBC and external conferences, meetings and corporate retreats. The venue offers easy access to UBC’s pedestrian paths and parkades. Services include washrooms, an informal lounge, and a kitchen with a fridge, sink and microwave. 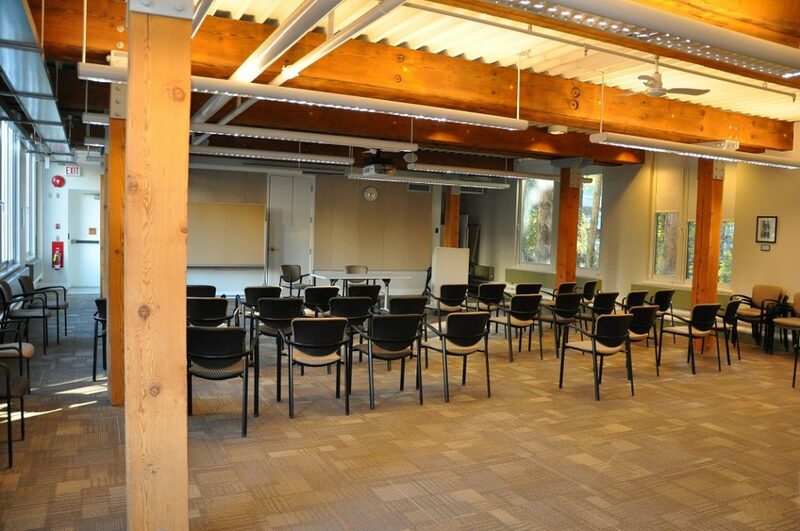 Host your next conference, meeting or corporate retreat at the Liu Institute. Discounts are available for UBC staff and faculty. Located just off the main entrance, this stunning courtyard is enclosed on the north side by a traditional “spirit wall”—a series of freestanding concrete walls that offers privacy and minimizes street noise. A rare and large katsura tree is the focal point of the space, and a bamboo grove frames the building’s entrance. Located on the south side of the lobby, this open courtyard offers sunlight and treed views. 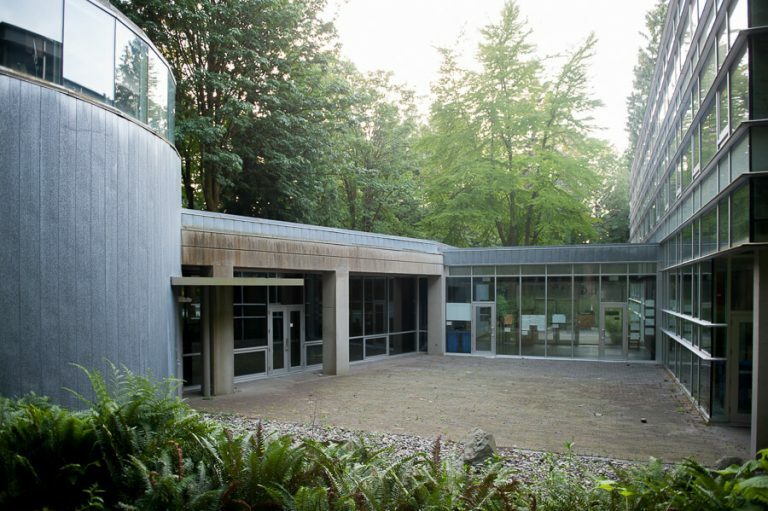 A rock garden and landscaping separates the space from the nearby forest, and a covered breezeway at the south end of the research wing offers access from West Mall. In addition to functioning as a breakout space for the multipurpose room, lobby and lounge, it’s an excellent venue for special outdoor events and performances in warmer weather. Opening on to the lobby, this multipurpose room is fully glazed on two sides with forest views. Maple panelling on the north wall conceals coat closets, furniture storage, and a food preparation room with an industrial dishwasher, a fridge, a sink and direct access to a delivery area for caterers. The xʷθəθiqətəm room has an easy-to-use audiovisual system that includes a built-in projector, drop-down screen, sound system and speakers. Four microphones—one podium mic, one handheld wireless mic and two lapel mics— are also available for use. 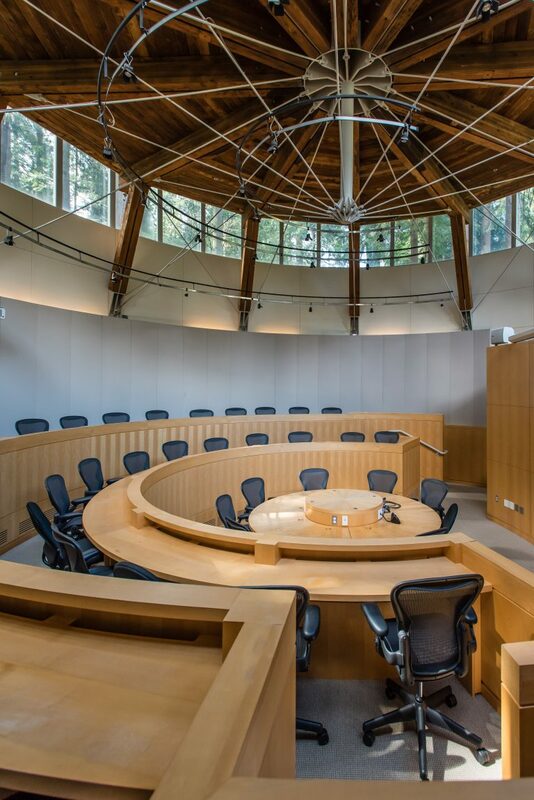 Located at the south end of the seminar wing, this tall circular space features maple panelling, tiered seating and a dramatic radial ceiling with 360-degree treetop views. Motorized blinds and dimmer switches offer complete lighting control. Each seat is equipped with an electrical outlet and Internet access, and the media booth is capable of supporting a wide array of multimedia devices, making the Case Room an excellent venue for conferences, teleconferences, group discussion and multimedia presentations. 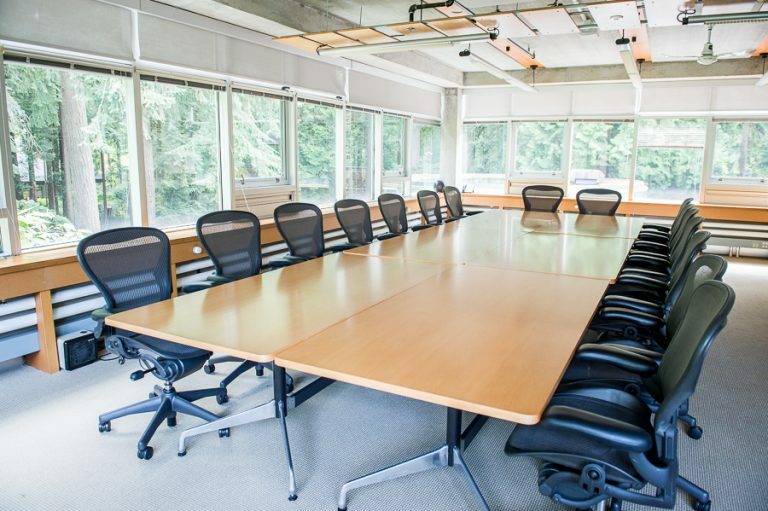 This third-floor boardroom is equipped with a large maple table that can be divided into six smaller tables. Glazed on three sides, the room offers a commanding view of a large cherry tree outside and the forest beyond. The first-floor Liu Institute lobby offers an open space surrounded by glass and views of the forest beyond the courtyard. In addition to functioning as a catering space for events held in the Multipurpose room and Caseroom, the lobby is often used as a venue for receptions and exhibitions related to the Liu Lobby Gallery, a student-led initiative that fosters alternative and artistic forms of dissemination of research on global issues. 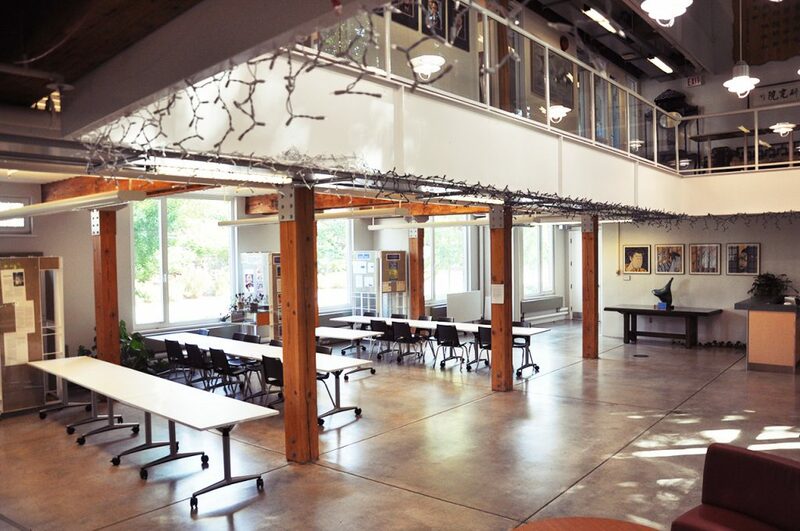 Host your next conference, meeting, or corporate retreat at the Liu Institute. Parking is available in the Rose Garden Parkade on NW Marine Drive (1 block east) and the Fraser River Parkade on Memorial Road (1 block south).